I received my Ph.D. from the University of Georgia in 1996 and took a position at the University of Mississippi the following year. 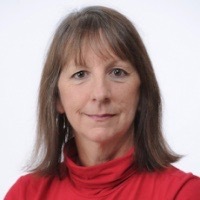 My areas of expertise are historical anthropology and environmental anthropology, with an area focus on the Indians of the Southern United States. I have been interested in American Indians for most of my life, but I did not discover anthropology until my freshman undergraduate year. From that moment, I have been devoted to the study of American Indians and other indigenous people, and especially to the study of their colonial experiences. After receiving my B.S. and M.A. in anthropology, I worked as a field archeologist for many years. It was during this time that I began to understand the full importance of interdisciplinary work, and especially the need to combine archaeology, history, and anthropology in researching and writing histories of the American Indians. My primary area of interest is the ethnohistory of the Southern Indians. In particular, I am interested in the intersections between Native peoples and capitalist economics within the colonial context. In addition to several articles and chapters in books, I have co-edited three collections of essays (see below) and two monographs: a 2003 publication entitled Creek Country: The Creek Indians and Their World, which is a social, environmental, and economic history of the Creek Indians during the late eighteenth and early nineteenth centuries, and a 2010 publication entitled From Chicaza to Chickasaw: The European Invasion and the Transformation of the Mississippian World, 1540-1715, which is a case study of the Chickasaws during the first 150 years of colonization set within a broad regional framework and the collapse of the pre-contact Mississippian world and the subsequent restructuring of Native life. 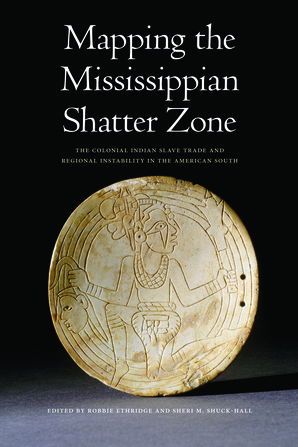 I am currently engaged in researching more closely the contours of the collapse of the pre-contact Mississippian chiefdoms following the European invasion by working to reconstruct the late Mississippian world and then following each instance of collapse and restructuring across the American South. I am a founding editor the journal Native South, and I am currently the North American editor for the journal Ethnohistory. For submissions to Ethnohistory, please email me at ethnohistory@olemiss.edu. Robbie Ethridge & Charles Hudson, eds.